Do you have a habit of being hard on yourself? Do you often beat yourself up, criticize or doubt yourself? Do you keep a running list of things that you think you shouldn’t be doing and get down on yourself when you do them? Today is all about your “Not Okay” list—that collection of actions that forces you into a place of self-loathing any time you step out of line. If you’re looking for a way to uncover this subconscious list and free yourself of the toxic habit of censoring your each and every move, then stay tuned . 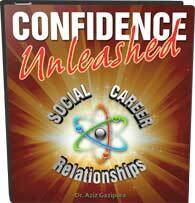 . . because we’re on the road to naturally greater confidence and increased success in every area of your life. Every single one of us has a list in our heads of things that are not okay for us to do. Every week, I spend time with clients in private sessions, conferences, weekend intensives, and remote meetings—this is where I get the ideas for these topics—and one issue I’ve noticed being brought up frequently is this idea of a self-proscribed list of negative actions. Even as you’re reading this, I bet you’re already thinking of what might be on your list. If you haven’t begun to do this, I’d encourage you to take a moment now and begin to think it through. Even better, take five minutes and write a journal entry about it so that the information is available to you. When you look at your “Not Okay” list, what’s on it? Many people have some version of “being anxious” on their lists because anxiety can often be perceived as weak or unstable. Other popular entries include making mistakes, sadness, social awkwardness, and undesirable physical attributes. The good news is that you can shed a lot of these perceptions and learn to let go of your “Not Okay” lists. First, though, you’ve got to be honest with yourself and figure out what your major list entries are. What’s not okay for you to do? What’s not okay for you to feel? What’s not okay for you to look like? Now, a lot of people beat themselves up over these lists. They know that they don’t want to act or look a certain way, so they punish themselves thinking it will help them “get better.” This is a terrible misconception. This pattern, whether conscious or subconscious, will never prove effective because you cannot beat yourself into having more confidence or feeling happier in your life. Those qualities can only come from loving yourself. Let’s shed a little clarity on this subject by making an analogy to which just about anyone can relate: imagine a romantic relationship in which one person tries to get what he or she wants through physical or emotional abuse. Sure, they might get results of a certain kind (obedience, quiet, weight loss, etc. ), but those results will always be shrouded in fear, resentment, and pain—they will never be part of creating a healthy and loving dynamic. You get the exact same results when you demoralize and abuse yourself through your “Not Okay” list. Now, let’s say you’ve created your list. The first thing you’re going to want to do is go down the list one item at a time and check to see which ones are actually possible to eliminate. Often, what I find is that these lists contain things that are not humanly possible to get rid of altogether. If your list includes feeling anxiety, feeling scared or feeling sad, there’s simply no way you’re going to be able to avoid feeling those things to at least some extent ever again. These are human emotions, and you’re going to experience them to at least some degree for the rest of your life, just like you’ll also experience joy, peace, and confidence. Now, if you come across something like drinking a fifth of vodka every night, then maybe you should work on adjusting that one, because it’s humanly possible to change. A lot of the items on our lists, however, won’t be possible for you to control. Your facial features and certain aspects of your body are simply not changeable barring extreme solutions, like major surgery. Even if you chose to engage in that type of solution, though, you won’t be solving the root of the problem, which is a lack of inner confidence. The key to dealing with your “Not Okay” list is to realize what you can and cannot learn to be okay with. Can you learn to be okay with a little anxiety every now and then? Yes, you absolutely can. Can you learn to be okay with losing your hair? It may be difficult to accept at first, but yes, you absolutely can. Can you learn to be okay with that little crook in your nose? Yes, you absolutely can—and chances are, there are people out there who think it’s adorable. You need to get on your own side and stop beating yourself up over the things you simply can’t control. If this seems way beyond your abilities, then begin using the tools you’ve collected on this channel or sign up to receive my program, The Confidence Code. 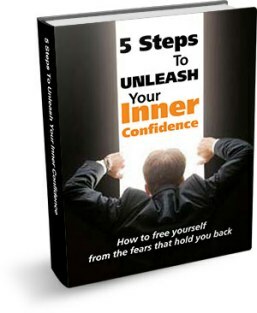 This program and the tools within it will help you discover new levels of self-esteem so that you can transform your relationship with yourself and begin to take bold actions to unleash your inner confidence. In the meantime, the only way you’re going to motivate yourself is to get on your own side by using compassion and accepting your humanness. So, what does that mean for you? What are your major “Not Okay” list items? How has accepting the things you cannot change altered your perception of your internal state? Share your comments below and please feel free to subscribe to this channel so that you can stay tuned to future videos and stay connected to this community. Until we speak again, may you have the courage to be who you are and to know on a deep level that you’re awesome.